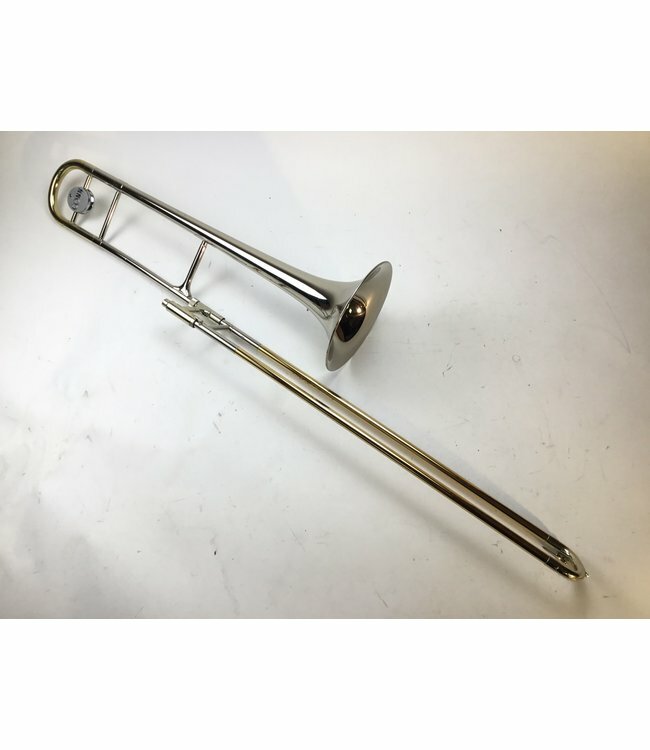 Used Conn 48H Professional Bb Tenor Trombone in nickel plate. .500” bore hand slide, 8” nickel plated bell flare. Instrument is in good condition apart from minor scratches and lacquer wear throughout, previous repaired dings throughout and previously repaired dents throughout tuning slide. Minor plating wear at inner slide stockings, not affecting playability. Comes with Conn case.